Sonex Education Starter Packs Available! Not sure if an aircraft construction project is right for your school? Run a short pilot program with your students using the Sonex Education Starter Pack, a scalable metalworking project and curriculum guide. This fun and interesting metalworking project is the actual assembly constructed by prospective Sonex Aircraft builders at Sonex Builder Workshops held several times annually at our factory in Oshkosh, WI. It is designed to teach the basic metalworking skills required to build our line of aircraft. This project and its documentation have been refined via use by hundreds of Sonex Workshop attendees and it is ideally suited to provide youth with an introductory exposure to aircraft construction. Find out more about Sonex Education Starter Packs! The Sonex Education Initiative represents an investment into the future of aviation in all its forms, both recreational and professional. 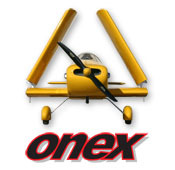 Sonex Aircraft, LLC is offering Discount Incentives for Educational Institutions and Community Organizations to educate youth about aviation through the construction of a Sonex Aircraft. 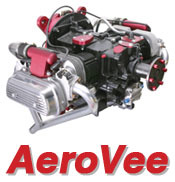 Education Discount Incentives: Educational Institutions and community organizations involved in educating youth are eligible to receive a 10% Discount on any Sonex Aircraft Complete Airframe Kit or Sub-Kits (Sonex, Waiex, Xenos, or Onex) and the AeroConversions AeroVee Engine Kit. Unlimited Free Sonex Workshop Attendence: Representatives from your school or community organization may attend an unlimited number of Sonex Workshops at no charge, limited to two representatives from each school per workshop. Free Expercraft Build Log: Free Expercraft "Simple Log" project logging for Education Initiative participant schools and organizations through this web site. "Simple Log" is an outstanding web-based tool which helps you track the progress of an aircraft construction project, including costs, and creates a publicly-viewable web site of your project's construction log. On-Line Discussion Groups: Through the Sonex Education Initiative web site, participating schools have access to peer support via free On-Line Discussion Groups for both Teachers and Students. Advice to Get Started: Sonex Aircraft, LLC has worked to pool resources and information to help your school get an aircraft construction project started. Curriculum Resources: Sonex Aircraft, LLC is working to compile a database of downloadable curriculum resources, and hopes to foster a free exchange of curriculum ideas and materials between program participants and other educators, worldwide. Proof of Educational Use: Accredited Educational Institutions and Community Organizations are eligible for participation and receipt of benefits of the Sonex Education Initiative. Community Organizations must submit a letter of intent detailing their plan to involve and educate youth during a mojorative portion of the aircraft or engine construction project. In addition, all Sonex Education Initiative participants must comply with the mandatory participation requirements detailed below for use of the Expercraft Simple Log as a form of proof that youth are being substantially involved in the project. Any failure to document substantial youth involvement may result in assessment of invoices for repayment of discount savings. Workshop Attendence: Sonex Education Initiative participant schools and organizations may send teachers/instructors and volunteer instructors to Sonex Workshops at no charge. Each Education Initiative participant is limited to two representatives per workshop, however they may send representatives to an unlimited number of workshops. Simple Log Participation: In order to publicise and promote aviation education and the Sonex Education Initiative, and to satisfy the requirements for Proof of Educational Use of discounted products as detailed above, each Sonex Education Initiative participant school or organization is required to maintain and regularly update an Expercraft Simple Log on this web site. 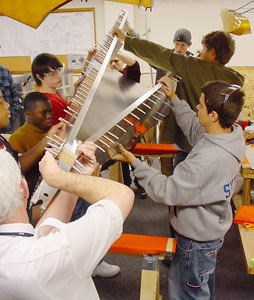 Photographs and text should be included detailing the involvement of students working hands-on with construction of the project. Discussion Group Participation: In order to foster communication, cooperation and a sense of community among Sonex Education Initiative teachers/instructors, each Sonex Education Initiative participant school or organization is encouraged to maintain an account on the "Sonex Teachers" on-line discussion group, hosted by this web site. Discussion Group Moderation: Sonex Education Initiative participants who wish to allow their students to utilize the "Sonex Students" on-line discussion group hosted by this web site must agree to individually approve and moderate their own student body's participation. 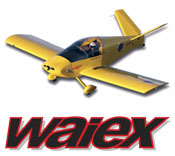 Non-Discounted Participants: Educational institutions and community organizations building Sonex aircraft for educational purposes who are building from plans ("scratch building"/did not purchase a Complete Airframe Kit or Sub-Kits) or whose kit purchases pre-dated the Sonex Education Initiative are welcome and invited to participate in all features of this web site. 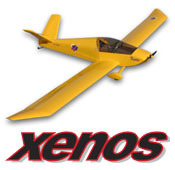 Adherence to Sonex Aircraft, LLC Plans and Factory Recommendations: In the entire Sonex building community, Sonex Aircraft, LLC strongly discourages and will not offer factory support for any deviations from the aircraft plans, modifications to the aircraft, or use of alternative/unapproved powerplants. As Sonex Education Initiative participating organizations and their projects are considered representatives of Sonex Aircraft, LLC, any of the above-mentioned deviations from approved building practices will disqualify participants from all Education Initiative discount incentives and will result in assessment of invoices for repayment of discount savings. 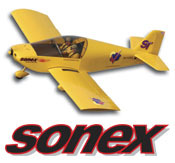 Sonex Terms and Conditions: All customers of Sonex Aircraft, LLC are subject to Sonex Terms and Conditions.